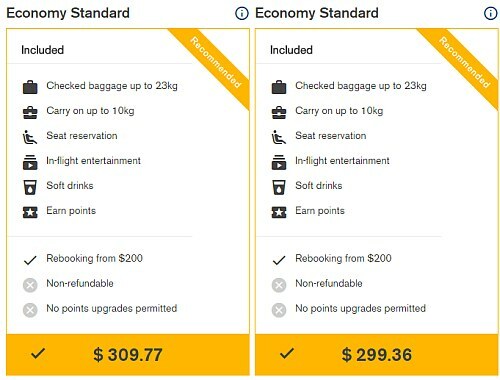 Back near the beginning of October, Icelandair made a major change in their fee structure, which, overnight, made it seem like their prices suddenly became quite a bit cheaper, when in fact they are now more expensive. "Pretty great price," you think to yourself. And indeed, historically, a flight from Montreal to Europe for under $500 CAD roundtrip has been a pretty great price. Up until this point, Icelandair has always included a piece of checked luggage with their lowest priced fares. As of early October, they no longer do. (Bookings made before October still automatically include checked luggage). What this means is that the $496 flights that are currently showing up on Google Flights, Kayak, Skyscanner, Expedia, Icelandair's website, and every other website or app in the world, are no longer the *realistic* price. The $496 prices you are seeing everywhere now are the *unrealistic* price. To get back to the realistic price, you now need to add back in the cost of a piece of checked luggage. To do this, you need to search for your flight on the Icelandair website, and instead of choosing 'Economy Light' (no checked luggage) you now need to select 'Economy Standard' (with checked luggage). Comparing this price against the typical prices from a month or two again, we can see that Icelandair's realistic prices have actually increased by about 30%. This is not an isolated, cherry-picked example. Pretty much all of Icelandair's prices are actually around 30% higher than they were before the fee structure change at the beginning of October. I don't mean to pick on Icelandair (who has been a major reason for better prices from Canada to Europe in the last few years). They are definitely not the first airline to make this change, and they are certainly not going to be the last. This is a trend that has been on the rise as of late. Delta, United Airlines, and American Airlines have recently started doing the exact same thing with their domestic flights - only they are making their prices unrealistic by taking away access to the overhead bin (aka carry-on luggage) or the ability to select your own seat. 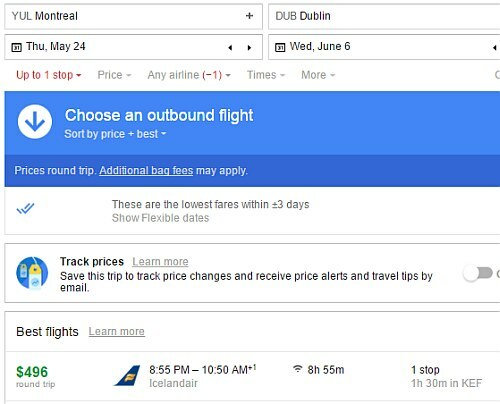 Icelandair is likely doing this in response to their closest competitor, WOW Air, the other Iceland-based carrier offering connecting flights to similar European destinations. WOW Air has always structured their fares this way, from the time they launched. (WOW Air flys out of Montreal and Toronto, as well as various U.S. cities). If you ask the airlines why they are doing this, they'll usually give you a line about 'more choice for the consumer'. Let's be honest though, the choice to fly overseas without a piece of checked luggage isn't realistic for the majority of people. But if you *can* get away with flying overseas using only carry-on, you might be the one consumer segment to actually benefit from this new trend. People flying with checked luggage will effectively be subsidizing your cheaper 'seat only' airfares - while they pay more than they used to. 1. They hope that consumers won't really notice the change, and can make more money this way. In fact, to a lot of people, if they do notice a change, it may seem like the prices are even cheaper than they used to be. 2. They want their airfares to appear to be the cheapest on travel websites, search engines, apps, etc, knowing that most people tend to just start their search by looking at the cheapest airfares, and their fares will appear at the top of the search results. It couldn't have been easy for Icelandair to sit back and watch WOW Air's prices always be the ones that showed up on travel sites as the 'cheapest flights' - even when Icelandair often had the better deals when it came to the realistic price. It wouldn't matter as much, if *all* airlines would adopt the unrealistic price model at the same time. That way, it would be easy (or at least, easier) for travelers to compare apples to apples. 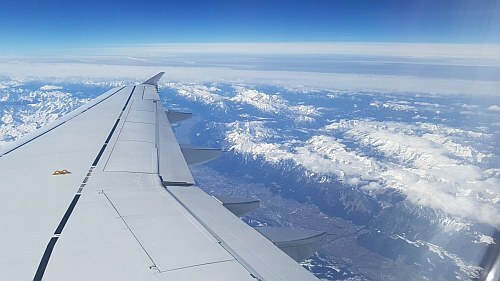 Right now, we are in an awkward transition phase, where some airlines have their unrealistic prices being the ones that show up first on travel sites, airfare search engines, etc - while other airlines are still displaying the realistic prices, but wondering if they too should adopt the unrealistic price model to have their airfares appear to be the cheapest. As a traveler flying from Montreal, the four airlines to watch out for with regards to this issue are Delta (when flying to the U.S.), Interjet (when flying to Mexico), WOW Air (when flying to Iceland or Europe) and now Icelandair (also when flying to Iceland or Europe). For my part, it's pretty easy for me to compensate for these changes that the airlines are making, and I will continue to only post a deal when the realistic price is unusually low - after comparing apples to apples - and not misleading anyone using unrealistic prices as bait.